Despite advances in tire engineering that have created more durable, longer-lasting tires, the actual mileage your tires will receive will vary by car type, tire type, driving style, and even road and weather conditions. 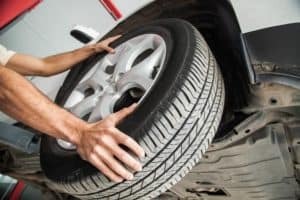 Properly maintaining your tires is the most critical link in conscious car care, as all braking, steering, and acceleration must pass through your tires to reach the road. The keys to long tire life are proper maintenance and practical driving can maximize the mileage in a set of tires. Monthly tire inspections, which include both air pressure check as well as tread depth measurements. Most tire wear occurs during acceleration and braking. Use a light application of the throttle until you’re up to 15 mph or so. And when braking, try to look ahead as much as possible to avoid panic stops. According to the Connecticut Department of Motor Vehicles, a tire must have two-thirty-seconds of an inch (2/32″) center tread. The easiest way to measure this, if you don’t have a gauge, is to hold a US Quarter upside down in the tread. If the top of George Washington’s head is visible, you need new tires. 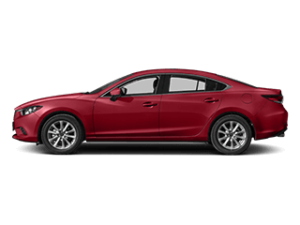 If you need assistance with measuring your tread depth, Modern Mazda is happy to provide that service in Thomaston. 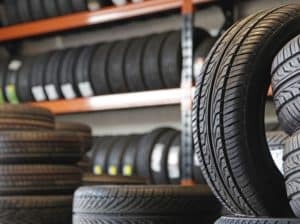 Before you head out to the tire store, it is necessary to identify the best tires for your vehicle and driving demands. Vehicle manufacturers recommend that you replace like with like, in other words, you should replace your worn tires with tires of the same size and characteristics. This maintains the handling, braking, hydroplaning resistance, traction, and ride comfort of your original types. All Season Tires. These are the traditional type of tires one most common thinks of. They tend to be narrower than tires typically fitted to today’s new cars. Most applications will either be for less expensive new cars and older cars. All Season Tires provide good ride comfort but don’t compare when it comes to traction to newer sizes. Performance All-Season Tires – Have a higher speed rating than standard all-season tires. While Speed Ratings were developed for Europe where cars travel faster than in the US, the speed rating has become an indication of the performance level of the tire for buyers here in this country. To best match the worn tires coming off your vehicle, purchase a tire of the same speed rating. If you have any questions about this, talk to your service advisor or review your vehicle’s owner’s manual. Ultra-High Performance Tires: Commonly fitted to upscale sedans or sporty SUVs, these tires are designed to provide good handling and responsive steering in wet and dry conditions. They are a key ingredient in how your car feels when you drive it. Non-All Season or Summer Ultra High Performance Tires are not intended for cold weather and won’t provide the grip needed in snowy or icy conditions. All-season versions may compromise some dry and wet grip to gain some winter traction, but if snow is an issue where you live, it’s most likely better to switch to dedicated winter tires. Winter Tires: If you drive often in snow-covered or icy roads, then winter tires might make sense for you. They offer superior grip to go, stop, and corner. Be aware: winter tires will wear faster than all-season tires on dry roads because the tread is specifically designed to bite into snow and ice, and the rubber is formulated to stay pliable at freezing temperatures. So, it’s best to change over your winter tire promptly when winter ends. All Season Tires with the Mountain and Snowflake Symbol: A three-peak mountain snowflake (3PMSF) symbol branded on a tire’s sidewall indicates the tire meets required performance criteria in snow testing to be considered severe snow service-rated. Originally used as a designation for winter tires, the 3PMSF symbol is now featured on some all-season and all-terrain tires with snow performance that meets the testing criteria. It’s important to note that 3PMSF-branded all-season and all-terrain tires cannot match the traction of dedicated winter tires in all winter weather conditions and should not be considered a replacement for where and when a dedicated winter tire is needed. While, for the most part, you’ll be matching up the original manufacturer’s tire size, many people are curious about what the markings on the tire mean. To understand how size, works, consider the size tire on the popular Mazda CX-5 Sport: P255/65R17 102V. In this example, P denotes passenger-car, 255 is the cross-section width in millimeters, while 65 is the ratio of sidewall height to cross-section width. R means radial-ply construction and 17 is the wheel diameter, in inches. The 102 is the Load Rating of the tire. There are tables that convert the Load Rating to actual weight the tire can safely carry. However, that’s not the same as the vehicle’s load capacity, which should be your guide for loading and towing. The V is the Speed Rating and it represents a maximum speed well above any legal limit in the US. But remember, these have now become more of a Performance Rating so that if you match the tire size, Load Rating, and Speed (or Performance) Rating, you’ll have tires that will meet all the basic requirements for replacement tires. There is one more step in buying new tires, though. And that is to match the proper tire, whether it’s the exact same tire that came on your vehicle originally or is approved by the manufacturer as a replacement tire. 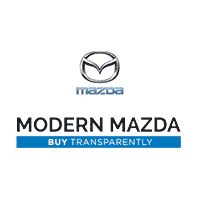 To find that information you need only stop by Modern Mazda and talk to the experts in our in-house tire store. 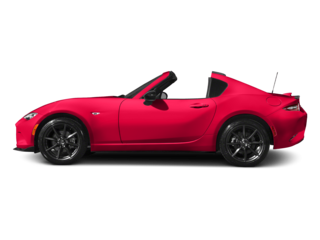 They’re the best source of information on Mazda tires in Thomaston and they’ll make certain you roll out with the best choice of tires at a competitive price.